Music is fun and energetic. Especially when you want to learn an instrument, you need a lot of energy to play it. Also, it is associated with noise and sound. A good sound produced soothes while a bad sound produced will irritate you. Here, in this article, we have discussed types of drums, drum amplifiers, and percussion instruments. Now, the question arises does drum amplifier are necessary as drum itself produce a loud sound. Yes, electronic drum kits or drum sets need drum amplifiers to get a louder sound. The drum may be capable of producing a sound that is audible to you and few people around you. But when you are performing in big auditoriums, the amplifiers will boost the sound. Also, the word is many times associated with drums during live shows or any musical events. Many people confuse and think drums and percussions are the same. Here in this article we also cleared the confusion. In this article, you will get information on working of drums and its buying guide. Working of amplifiers & its buying guide, and buying guide of percussion as well. Last but not the least we have also mentioned our Top 8 recommendations and FAQ’s. Drums belong to the membranophone family. They consist of a drum head or drum skin, and it is stretched over a shell. The sound is produced from the drum when the drum head is vibrated. The drum head is echoed when the player strikes it with hand or sticks. Box drums are usually known as Cajon, and it is from Peru. They are played by striking the box either at the front or rear faces. You can use hands, fingers or sticks to play box drums. The shape of the box drum is a cube. It is the drum with a wider drum head and has a greater width than depth. They are the most ancient musical instrument and are to be the first to be invented. Often, a round wooden frame is used in this type of drums construction. Also, few frame drums come with metal rings or jingles attached. Moreover, there are many types of frame drums available in the market. Ideally, they are used while marching either in school or army marching or any marching. They are of three types – Snare drums, Tenor drums, and Bass Drums. Snare drums are usually made of Kevlar that have high-tension. Also, they are much more profound. Tenor drums are also called as quads, tom-toms, quints and are single headed. Usually, they are played with mallets. Bass drums produce the deepest sound and are usually carried on straps or harness. Bass drums are double headed. They are positioned such that the drum heads are to the left and right to the player. As the name suggests, these drums are played with bare hand and not using sticks or mallets.Also, there are various types of hand drums, and each has a different playing technique. 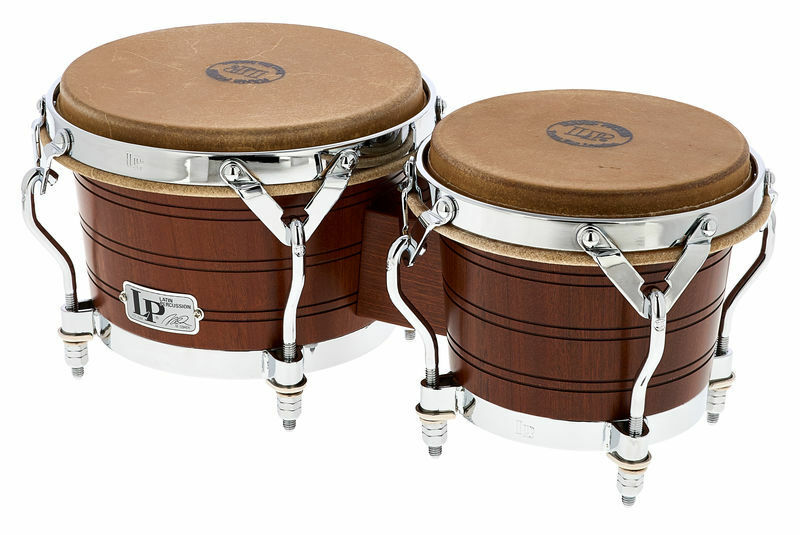 Bongos, Congas, Kanjiras, are named a few hand drums. They are the most popular drums and have wide varieties with different configuration and size. Jazz drums, fusion drums, rock drums, electronic drums are named few that belong to acoustic drums. Drums mainly produce sound on the vibration of drum heads. Drum shell plays a key factor in toning, sound. The larger and deeper drum shells have a thick and deeper impact. While smaller and shallow have a brighter or lighter impact. How does drum actually produce a sound? It is all simple physics. When the drum heads are struck or played by hand, it changes shape and air compresses inside the shell. All, these changes are constantly transmitted to the drum shell and reflected makes vibrations. This vibration becomes a beautiful sound and is heard. Drum sticks often come in different sizes. A player must know which size stick should be used to produce a particular sound. Heavier sticks can be used for producing rock sounds while lighter sticks can be used to produce jazz sound. For practicing purpose, few drummers prefer heavier ones to gain stamina and strength. Perfect wood for your drum sounds perfect. Wood is used to make drums, and we have a different kind of woods used in making drums. Oakwood, maple wood, basswood are named few. The higher-quality wood used, durable the musical instrument is. Also, we find drums which are made of metal. If you are looking for metal-based drum, then ensure that it is rust-free and the sound produced also remains the same. If you are a frequent traveler, it is better to choose the drum which is portable. A heavy weighed drum is also hard to carry. Moreover, if you are working on drum kits or drum sets that include different types of drums weight always matters. Size of the drums matters especially when a different sized same type drum is used for producing different pitch. Usually, several layers of wood are used in forming a drum shell. The higher number of layers produce high fundamental note and sound. Less layered drum shell produce lower fundamental note and sound. Also, the drum must have strong drum shell for better performance. Instrument amplifiers coverts the less audible electronic signal into a larger electronic signal. This signal is fed to the loudspeaker for clear audibility. Also, this amplifier is used for different kinds of musical instruments. Moreover, few instrument amplifiers are capable of modifying the tone of the signal. Amplifier uses three different technologies to make it work. They are Tube Amplifiers, Solid-State Amplifiers, and Hybrid Amplifiers. Tube amplifiers have vacuum tubes as the dominant electronic component. Many musicians feel that they produce a natural and warmer sound. Also, they need good maintenance and are fragile. While Solid-State Amplifiers are based on semiconductor transistor and are less expensive, weigh-less and are resistant to bump, so they are considered ideal during transportation. Hybrid amplifiers are considered as the most common amplifiers that use a tube preamp with a solid state power amplifier. Guitar Amplifiers pickups the weak signal from the electronic guitar or bass guitar or acoustic guitar and drives loudspeaker at necessary volume. Also, they are capable of modifying certain instruments frequencies. They are ideally designed for violin and electronic guitars and are similar to keyboard amplifiers. Also, they avoid tonal coloration and have a flat frequency response. For producing clean sound often they have power amplifiers and prevent unwanted distortion. They are different from another type of amplifiers as this kind of amplifiers need to produce crisp high-frequency sound and solid low-frequency sound. Also, they can be used for pianos and other musical instruments. Drum amplifiers are used for electronic drum kits and MIDI-capable instruments. Usually, they have good and large speakers. Drum amplifiers are capable of producing a wider frequency spectrum. Also, many drummers use this amplifier as powered stage monitors. How Do Drum Amplifiers work? Drum Amplifiers are used to convert the weak electronic signal into a stronger electronic signal, and when fed to the speaker it produces a louder sound. They are based on the tube or valve technology and solid-state technology. Solid-state Amplifiers are more considered due to the lighter weight and cost less. Drum amplifiers pick up the sound or signal produced when drum head is hit. The amplifier converts this signal and amplifies into a strong electronic signal. This strong electronic signal when fed to a speaker produces a louder sound. Many amplifiers come with good speakers. Amplifiers may be based on tubed or solid-state technology. Tubed amplifiers produce great sound. While solid-state amplifiers have greater distortion and need zero maintenance. It is the most common thing to be considered while buying any amplifier irrespective of an instrument. Moreover, solid-state amplifiers are less expensive. It is not necessary that all amplifier speakers come with equal and same size. The size of the amplifier will vary and also the sound quality produced varies. However, a small speaker will produce high frequency while compared to a large speaker. Amplifiers come with a different configuration like either it may be a combo or head/cab. A combo amplifier (combination amplifier) has an amplifier and a speaker in a single cabinet. While few amplifiers have a separate head and speaker cabinet. Usually, head/cab are lesser and can be carried easily while the combo is heavier. Percussion is those who produce sound either by rubbing, striking or scrapped by the beater. Also, they are believed to be the oldest musical instruments. Percussions are mainly classified as Pitched and Un-pitched Percussions. Usually, they are considered as the backbone of the musical ensemble. Pitched percussions produce sounds and notes with an identifiable pitch. While un-pitched percussions produce sound and notes with an unidentifiable pitch. Tabla, Mridangam, and Ghatam are few Indian Percussion instruments. They are also known as Tuned Percussion. Normal music notation is noted and a specific pitch is produced. They are used in the composition of melody tunes. Most common pitched percussion instruments are a xylophone, marimba, glockenspiel, and much more. They are also known as Auxiliary Percussion and Un-tuned Percussion. They do not produce any specific pitch and have a normal rhythmic notation. Most common un-pitched percussion instruments are bass drums, tom-toms, gong and much more. They are used in the composition of rhythmic tunes. Traditionally, Tabla is Indian origin instrument consisting of two drums. Also, the two drums are single headed and are barrel-shaped with different shape and size. 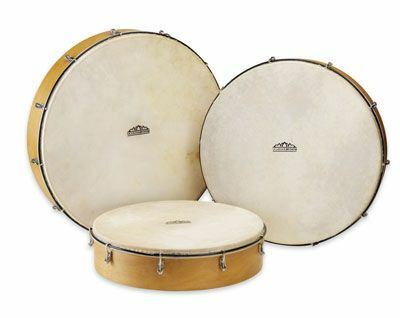 The Male drum or the bass drum is played with the left hand and is smaller in size. 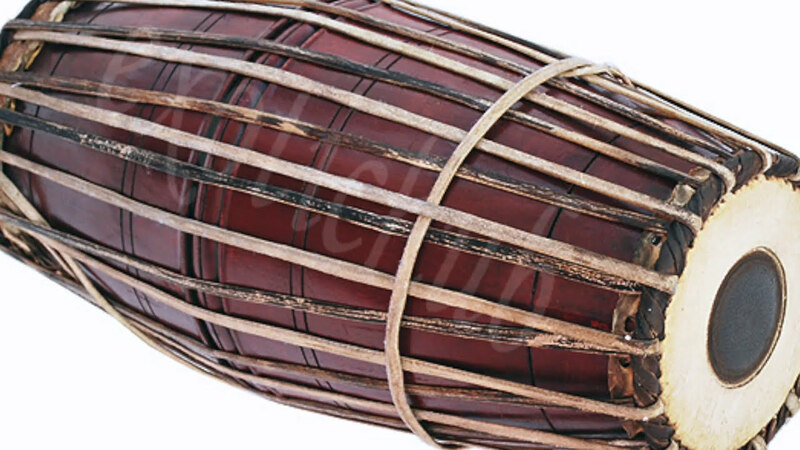 The male drum is called as dhagga or bayan. While the female drum or treble drum is played with the right hand and is larger. Mridangam is the ancient Indian origin percussion instrument. Often, Mridangam is accompanied by Kanjira or Ghatam or both during percussion ensembles. Also, it is a double-sided barrel-shaped drum with one side face larger than the other side. Moreover, Mridangam bulged at the center. Ghatam is also the oldest traditional south Indian percussion instrument. It looks similar to the traditional pot. Usually, it is made of clay mixed with brass or copper or iron filings. Based on the size of the Ghatam the pitch is varied. Pitch of the Ghatam can be altered when water or clay is applied inside the instrument. They produce high-pitched sounds, and often they are mistaken with conga drums. Bongo has two drums one is smaller than the other. The sound is generated when the edge of the drum is struck with fingers or palms. Traditionally these are made using wood. In the modern age ceramic, fiberglass and metals are used. It is the key factor to be considered while buying a percussion instrument. As we know that percussion instruments may be either pitched or unpitched. Any unpitched percussion instrument cannot be pitched. Also, a pitched instrument cannot be adjusted to low pitch or high pitch. Generally, the skin of the goat is used in Tabla. Also, they must be flexible to tune properly. So that it can be ranged in two to three notes. Moreover, three different skins are used like thin skin, medium thick skin, and thick skin. All three of them produce different sounds. Thin skin is not durable and medium thick skin has good tone. While a thick skin Tabla is long lasting and performs better. Quality of the sound depends on many factors like skin type used, depth of the shell and tune it was set. Also, in Tabla a black paste is applied at the center which helps in producing good sound. This thick black paste is called Siyahi. Alesis was founded in 1980. All their products are manufactured in China and designed in the US. They design a digital audio processor, audio mixers, recording equipment and much more. Their products are meant for professional use in live performance and studio. Also, products are categorized into Drums & Percussion, Live Sounds, Recording, and Keyboard. The electronic drum kit includes eight pieces, and it comes with mesh heads. Set up of the product is hassle-free. It has built-in play-along tracks and percussion sounds. The mesh heads provide better performance. CLAPBOX is an Indian company started in 2016. They provide a wide range of musical products and accessories. Also, their products are well tested for proper sound quality. CLAPBOX products include Bar Chimes, Practice Pad, Drum Throne, Cajon Bag, and much more. 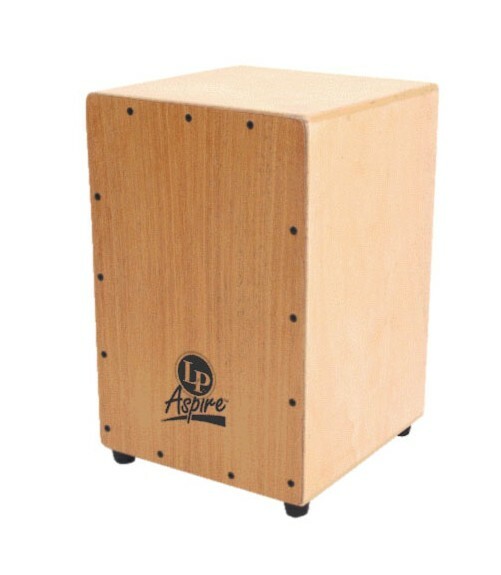 CB11 Cajon is the product of CLAPBOX. It is portable and can resist the weight of 100 plus kg. Oakwood Tapa is used to make it and produces good bass sound and snare sound. It is well finished with four legs attached at the bottom. Also, it can be used by professionals. Pyle is a renowned company and was founded in 1960. They are a leading manufacturer of high-quality woofers. Pyle Pro features musical instruments, DJ equipment, and other necessary accessories. Their products are well designed, innovative and manufactured to match professional standards. Customize your music with audio configuration controls. You can play your table drum kit anywhere as it runs with batteries. For voltage compatibility, the products must be used with step up or step down converter. The drum pads work with touch sensitivity. Also, it has an LCD screen and audio configuration controls. The vault was started in 2012. Their products include harmonica, soprano, electric guitar, digital tuner and much more. Also, Vault products are used widely in studios and performances. Products are designed to meet high-quality. Vault DM-30 is designed to compact. It has in-built 2-band EQ to adjust the tone. Also, dedicated volume controls can balance the external audio. The 2-way coaxial speakers are an ideal companion for any brand electronic drum kit. Coolmusic Tech was established in 2007. Their products undergo internal testing and meet quality standards. They are good at research and development. A wide range of products includes guitar amplifier, drum amplifier, audio mixer and much more. DK-35 amplifier consumes 50 watts. It also works for keyboard and acoustic guitar. It comes with 10inch coaxial speakers, built-in reverb, mic input, and line in socket — also, easy adjustment of bass controls. Sai Musical provide services in making available of all kind of musical instruments. Also, the products are delivered on time. Their products include trumpet, guitar, tabla and much more. This Indian Percussion instrument is double headed and used widely in recording environments. This double-headed dholak has bass on one end and treble at another end. The bass head has a single membrane and has the application of clay mixture, tar, and sand on inner surfaces. Baba Surjan Singh & Sons established in 1944. Their products are known for good tuning and high-quality. Their products include harmonium, tabla, dholak, violin and much more. It is the popular Indian rhythm instrument. This tabla is ideal for beginners and students. Not to be used in professional shows. Sharma Musical store is a renowned store that offers services in providing a wide range of musical instruments and accessories. They deliver quality products and are often on time. Products like guitar, dholak, harmonium and much more are included in their products list. The specially designed easy to play the musical instrument can be used anywhere. It is ideal for learners and beginners who want to practice it daily. The zipped carrying bag comes with a handle for easy carrying. 1. What should I use to clean my drums? Any drum with spilled food items is more prone to damage. Always dust your drums with a dry cloth and a damp cloth to clean the exterior is good. Never use harsh chemicals to clean the drum. You can use a mild dishwasher soap to clean the drums. Remember you should only use a dry cloth to clean the inside of the shell as it is not polished. If you ever use damp cloth inside the wood absorbs the dampness causing damage to the shell. 2. How often should I change drum heads? Replacing the drum heads depends on the maintenance of drums, how long the drum heads are used. Also, if there is any change in the sound produced or problem in tuning then change the drum heads. 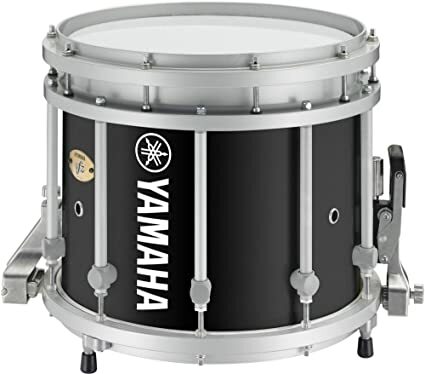 Moreover, if the drums are being used regularly, especially for beginners who practice a lot, it is ideal for changing the drum heads for every six months. 3. What material is used to make Tabla? 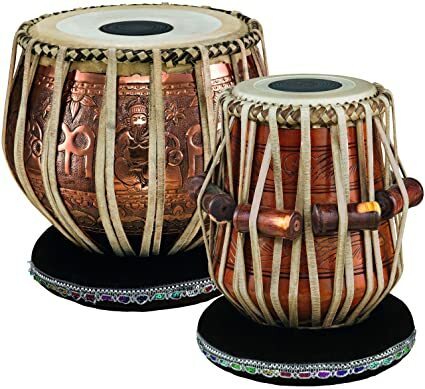 Tabla consists of double-headed drums daya and baya. Generally, wood is used in making tabla. Woods like Neem, Sheesham, Mahagony are used. Baya is also made using earthen pot, copper, iron, and few metals. While seasoned goatskin is used for the drum heads. Also, leather straps are provided to tune the Tabla. 4. How to clean a bongo skin? The bongo skin must be wiped with a damp cloth but not with a wet cloth. Before wiping remove the dust with a dry cloth. After wiping the skin pat dry it with a cotton cloth to remove moist. Always store it in a dry place rather than a moist place. 5. Drum amplifiers specs & features that matter while buying one? Though we have a good range of drum amplifiers available in the market, one must consider a few key things like power, built-in speakers, wattage, reverb, durability, combo amplifier or not (especially for beginners) and warranty. I hope this article clears you with different types of drums, drum amplifiers, and Percussions. Also, the working principle and a buying guide to check before you buying. Also, few best picks from our end. We consider Alesis electronic drum kit as our best pick. If you want to choose a portable drum kit then chose tabletop digital drum kit. To amplify your drums chose Vault drum monitor. If you are looking for a professional percussion instrument, then opt for professional dholak. If you are you not serious in buying any musical instrument yet need one musical instrument to learn then chose Bongo. Also, it is an economic one. If you want to make any choices of buying merely click on the link provided.